Fresh mountain air and tall pine trees will welcome you to this vacation rental condo in West Dover, Vermont! The home for 6 travelers has 2 bedrooms, a loft, 2.5 bathrooms, and is pet friendly. The property is part of Snow Ridge Condominiums and features modern amenities like updated appliances and free WiFi along with charming touches like a fireplace and mountain decor. Located just a few miles from Mount Snow, you'll have easy access to the ski resort and nearby reservoirs and flea markets! This lovely condo has all the necessities you and your family will need for the perfect mountain getaway. Light the fireplace in the living room before cozying up on the sectional sofa and watching a movie on the flat-screen Smart TV. In the fully equipped kitchen, enjoy access to everything you need to prepare delicious meals everyone will love. Whether you feast at the dining table or dine al fresco at the picnic table in the yard, you're sure to appreciate the company of your loved ones. Before retiring to bed, take advantage of the fresh and peaceful mountain air while lounging on the vintage chairlifts. The cozy and wood-paneled bedrooms feature a queen bed and a flat-screen cable TV. Additional sleeping is available in the loft which has a plush queen bed. Hit the slopes at Mount Snow, 3 miles away! The home is conveniently located near the MOOver local shuttle allowing you to reach the mountain quickly. Ski, snowboard, snowmobile, tube, dog sled, and more during the winter months. Once the snow melts, take scenic chair lift rides, mountain bike, fish, hike, and golf. High Country Marina, on Lake Whitingham, is 7 miles away and rents waverunners, bayliners, pontoon boats, paddleboards and more. The lake is perfect for swimmers, boaters, paddlers, and picnickers alike. The Wilmington Antique and Flea Market is about 6 miles and offers 10 acres of antiques, crafts, fresh fruit and veggies, and more. The seasonal market is open mid-May through mid-October and has become a must-see for residents and travelers. Great condo, clean. Had all the necessities we needed. 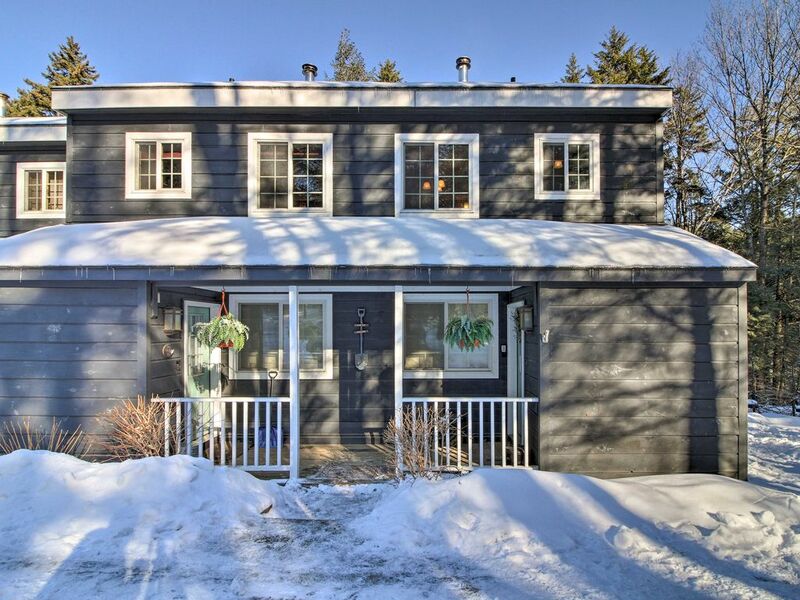 Condo is in a great area, close to Mt snow and Wilmington. Owner was accessible when needed.